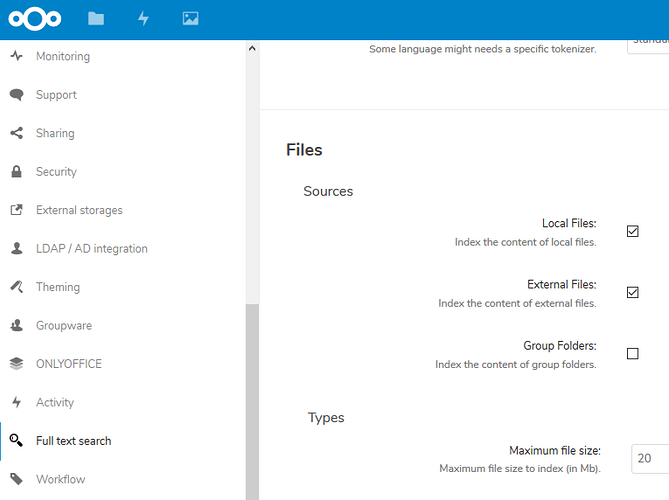 Does anyone have any information on how to implement and get the elasticsearch feature for indexing and full text search in Nethserver Nextcloud any help would be greatly appreciated. Is it still running in the background, and I should just wait for it to finish? Or do I need to do something to kill the search process that was started, so I can restart it? I tested it with a fresh nextcloud installation so indexing just took a few seconds. I tried it again (a couple of hours later) and it’s running now. So either it completed the index in the background, or the process just took a while to die. This worked great thank you guys for all the help I have another issue logged in as admin Nextcloud with the external storage enabled I cant add I get a screen that says “No external storage configured or you don’t have the permission to configure them” Anybody experienced this or know how to fix. I tried to setup an SMB share now and it worked, are you logged in as Nextcloud admin and clicking on “External Storage” under “Administration”? Did you configure some external storage from the other “External Storages” link menu towards the bottom of the screen? Ok I see my bad sorry clicking on the thing thanks again is their any information anywhere that shows the proper configuration using a samba share thats set up on Nethserver? Tesseract OCR would seem like a nice thing to have as well–any ideas on adding that? I have Elasticsearch working in Nextcloud appears to be finding results however the results are not listed in the view panel has shown here. Does it work with local files ticked? Did you try another browser? 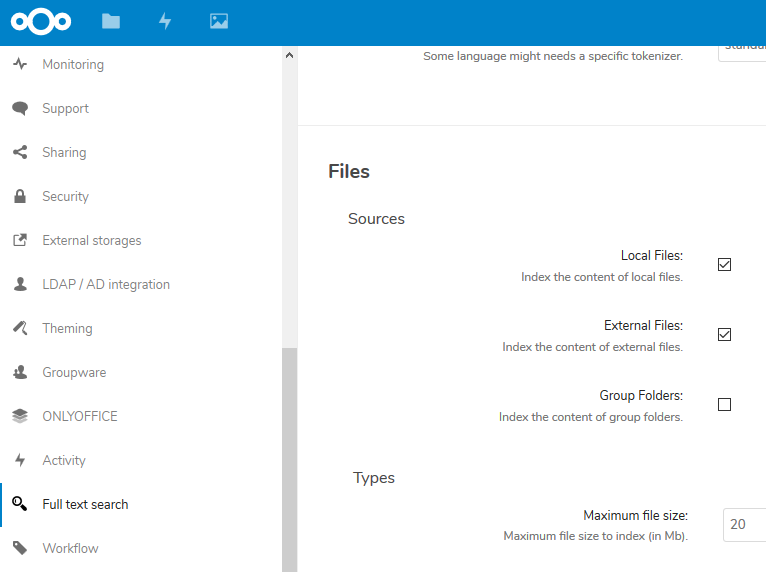 Did you enable external files in the Nextcloud Full text search settings? I don’t have an SFT share to test but it’s working with an SMB share. 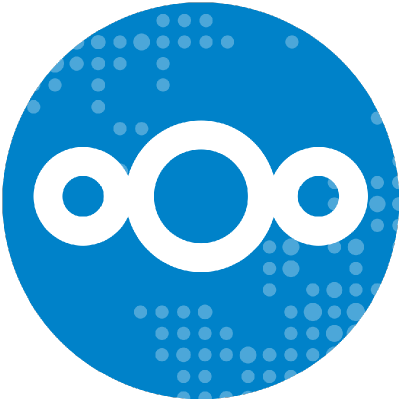 does the command: sudo -u apache /opt/rh/rh-php71/root/usr/bin/php -d memory_limit=512M /usr/share/nextcloud/occ files:scan -v username" actually index the files or just scan them? It just scans the files.